It is always a great experience when you interact with a product that stands out from all others mainly because the designers wanted to go the extra mile. 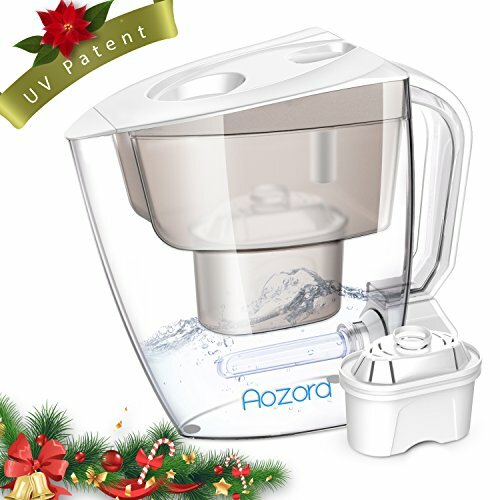 Check out the Aozora Water Filter Pitcher and its unique combination of filter and UV light. 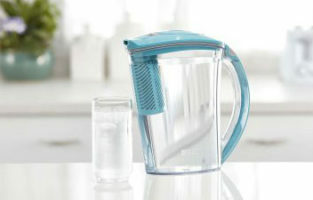 Yes, you read that right, the jug actually cleanses water at 2 levels. 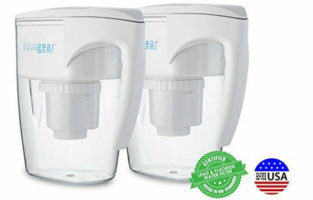 The first one is the water filter and the second level happens down in the clean water compartment where the UV lamp shines (pun intended). 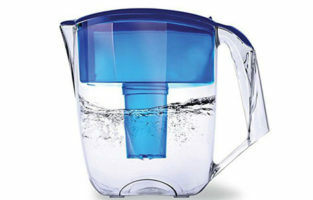 The filter has a 4 stage filtration system but in all fairness, there isn’t anything about it that will blow you out of the water (oh look, another pun). 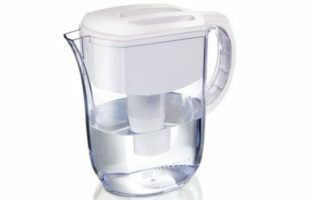 When it comes to the life of the filter, you get the typical 40 gallons or about 300 refills in other words. 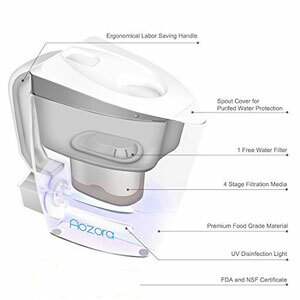 The volume of the Aozora Water Filter Pitcher stands at about 3.5 liters giving you 10 cups of filtered water. There is a filter replacement indicator allowing you to stay up to date with how much time the filter has been in there for. 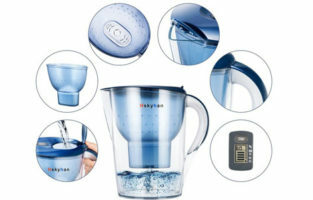 The star of the show and the reason why people are willing to pay top end money for this water filter jug is undoubtedly the UV light. 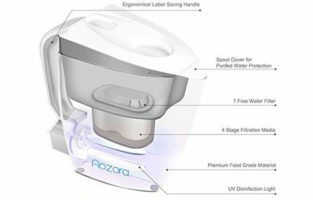 The patented UV disinfection technology is installed in the bottom reservoir where the clean water is. 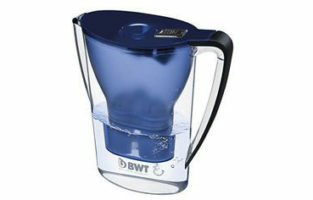 What it does is to prevent secondary pollution of water. 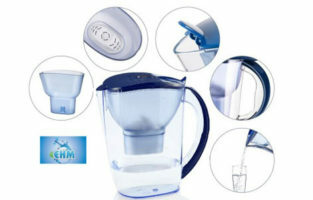 By sterilizing filtered water, the UV lamp also kills all sorts of germs that might have remained in there. The light doesn’t add anything to the water. It simply helps it stay cleaner for longer. 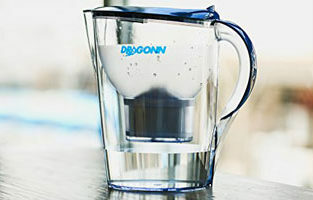 Your UV light will last for about 100 refills which is three times less than the filter. But do you have to buy a new one every time? Does it need to be replaced similarly to the filter? No, it doesn’t. 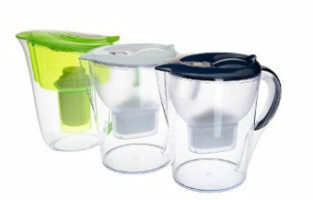 The set includes a charger and you are to simply plug it and charge it just like any regular cellphone. Another upside of the UV lamp is that it comes installed straight from the box. You aren’t required to do anything about it except for making sure that it is charged. The red and blue buttons will prompt you when the UV light is working and when it has completed its task. There are two downsides of this cool addition, though. 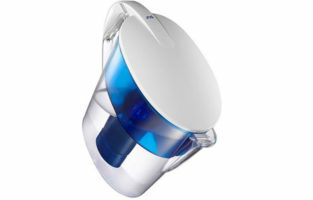 It is a little harder to clean your water filter pitcher when the UV lamp is just sitting there. 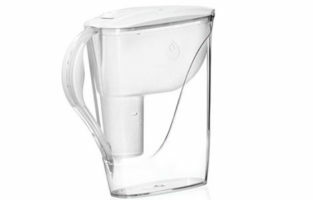 The manufacturer advises that we rinse the bottom off regularly but this means taking apart the filtration system very often. 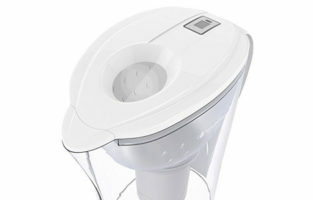 If there’s any sediment down there, rinsing isn’t an option as well. The second drawback is that you can’t keep the jug in the fridge. 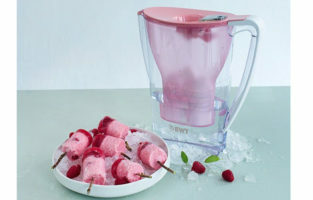 The cold temperature is going to fight with the UV lamp and the device will likely lose that battle. 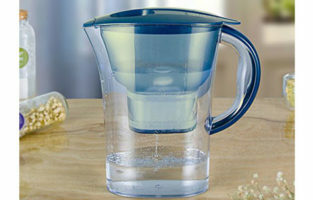 You need to find other ways to have a cold and at the same time filtered water. You will also have to seek help from customer support or online forums if you want to see how to properly change the filter. The instructions totally skip that part and won’t even tell you how to get a new filter for it.